Perhaps you’re a teacher who’s been forced to move to the suburbs by rising rent. Maybe you’re a Section 8 voucher-holder who has been searching for months and still can’t find an apartment that will accept your voucher. Maybe you’re a single parent who is working two jobs and is barely able to scrape up the rent each month. The fact is, most of us are feeling the weight of the housing crisis in some way. It’s also true that there’s a lot of talk about “affordable” housing, but it isn’t simply a housing problem. 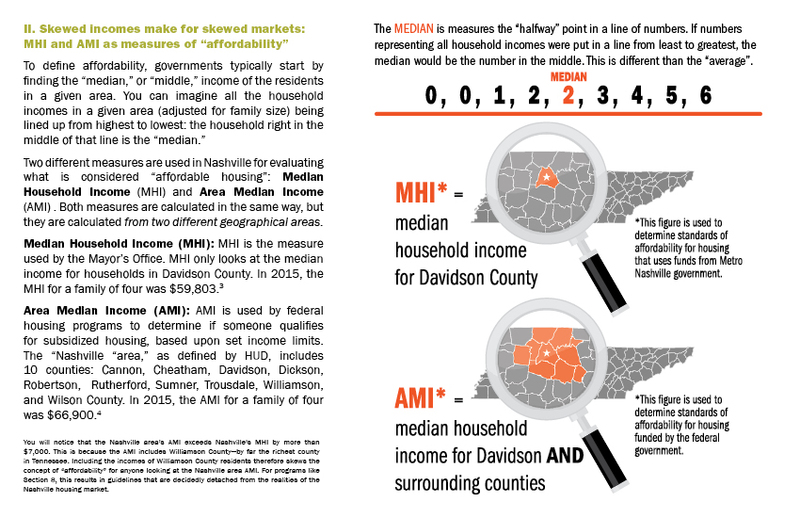 It’s also a wage and fair housing problem, and sometimes the issues seem too complex or overwhelming to engage. 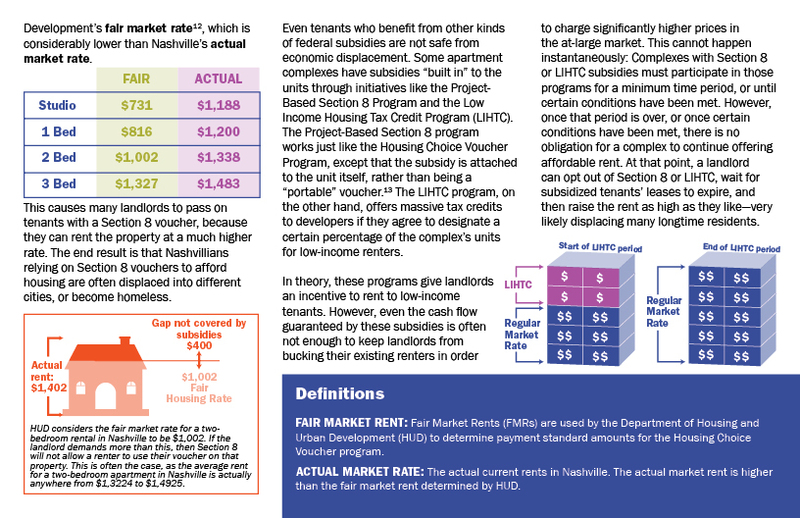 This series of pamphlets breaks down some of the statistics and terminology to clarify some critical aspects of the housing crisis. This series has been prepared with funding from the Metro Human Relations Commission Support Fund of the Community Foundation. Part 1: Affordable for Who? 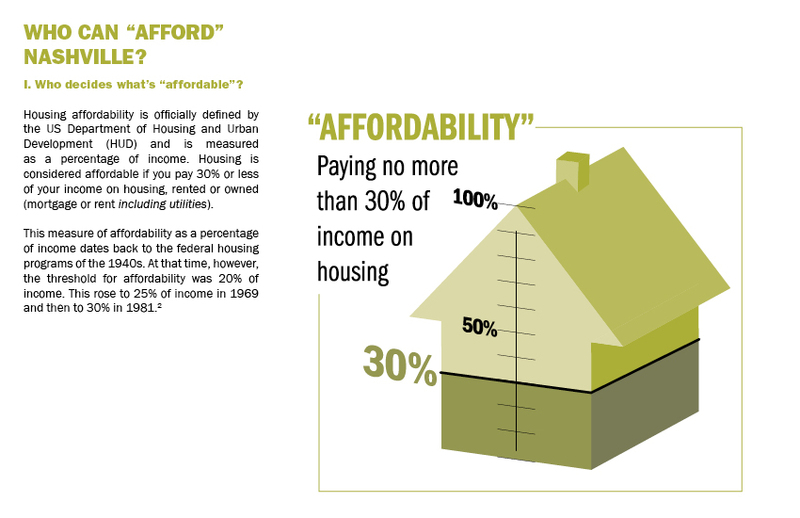 What does "affordable housing" mean? Why does it matter? 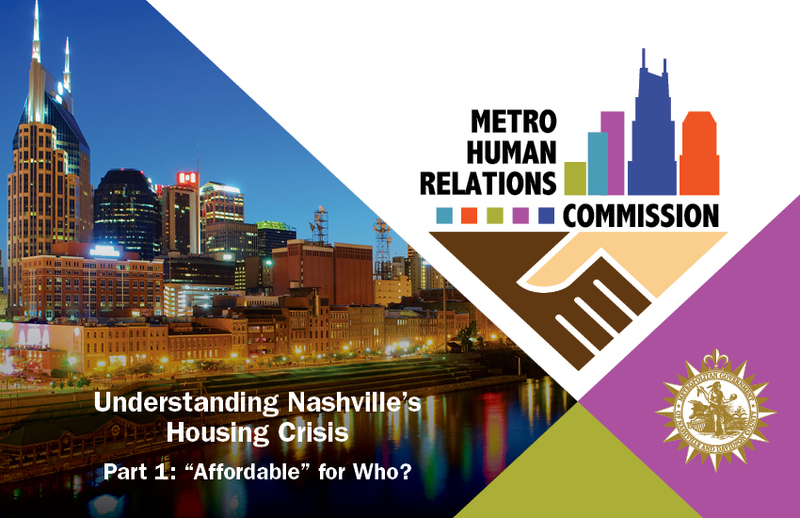 Who is impacted by Nashville's lack of affordable housing? 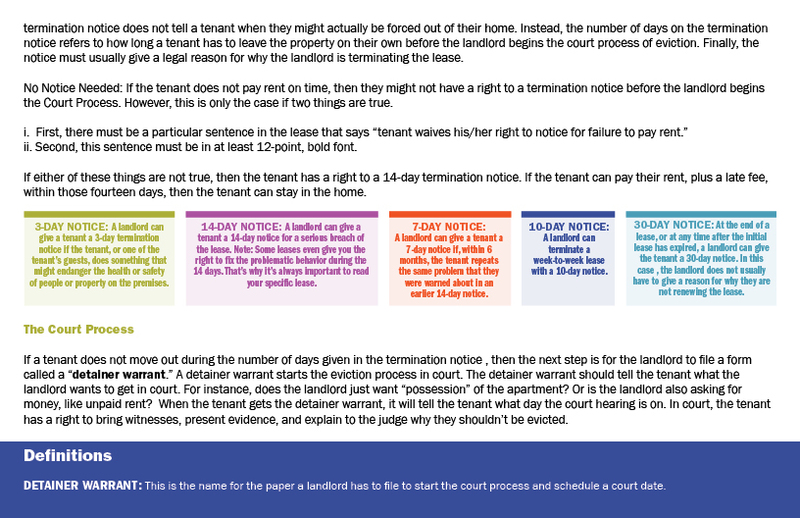 Part 2: How do People Lose Their Homes? 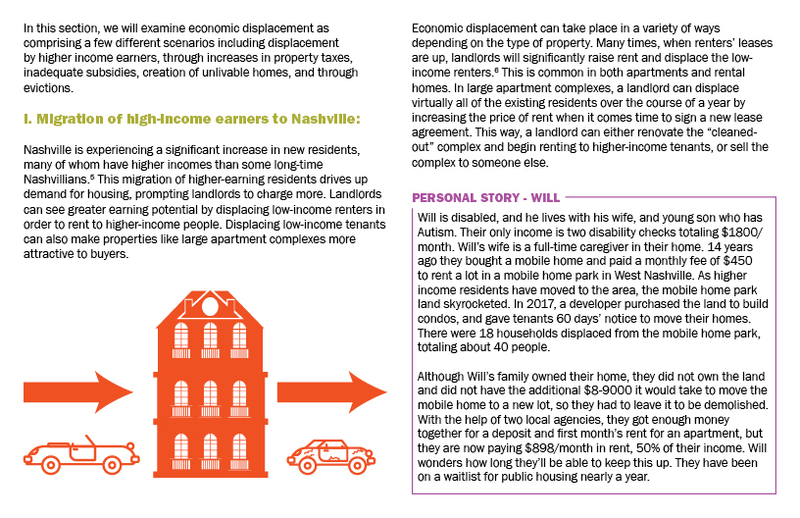 What are the pressures causing economic displacement and evictions? What effect does this have on individuals, families, and our community? If you need more than 25 printed pamphlets, you can contact the printing company to purchase them directly. Printer: Jive - Printworks Studio. 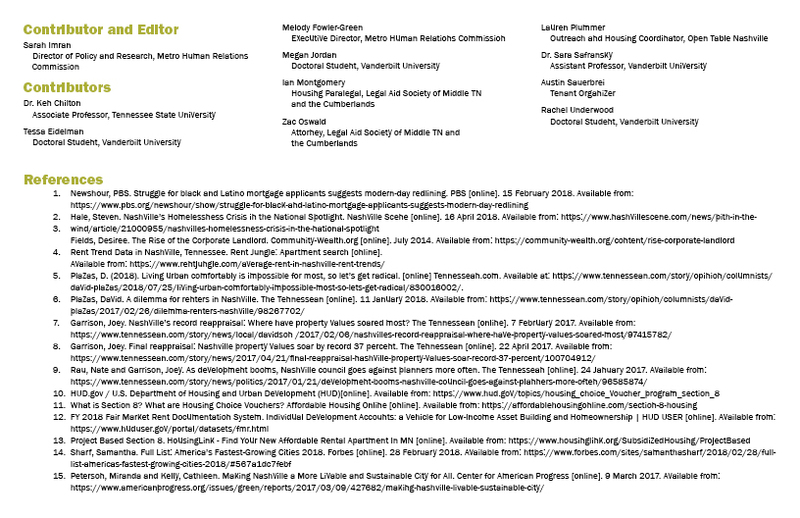 If you need fewer than 25 printed pamphlets, please feel free to contact the Metro Human Relations Commission.